Organisations use 360-degree feedback for both development, and increasingly, for performance evaluation. Feedback can come from co-workers, peers, reporting team or the manager and tends to be a more informal process concentrating on skills and contributions that an employee makes. This can be done at all levels from shop floor workers to the senior management team. 360 is a fully managed service that combines experienced and skilled Managed Service Team, web-based 360-degree assessment and project management system, and powerful reporting capabilities. 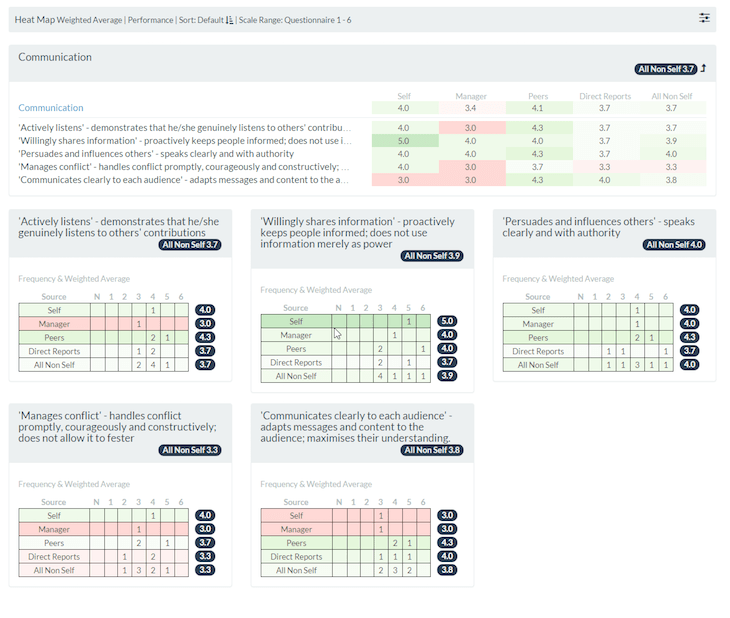 360 goes beyond the conventional ‘Self’ and ‘Manager’ appraisals to include data from peers, reports and other sources. Such multi-sourced data enables individuals to understand how they are perceived by others and why they interact the way they do. From this, individuals can begin making fundamental change and improvement. 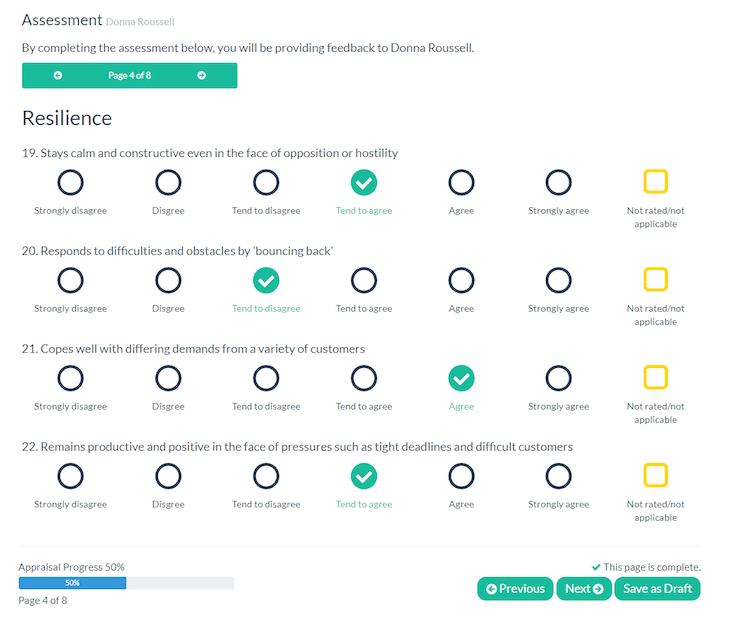 With the increasing practice of creating project groups to complete tasks, a 360-review can give a line manager a wider insight into a person’s skills and how they interact with others. This can be particularly informative when considering leadership, interpersonal skills, teamwork, work practices, accountability, and more – something that you cannot get from more traditional methods. 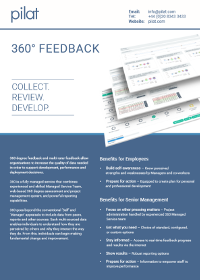 Far more than a traditional 360, Pilat’s 360 feedback Multi-Rater not only makes it easy to measure and develop individuals, but stands apart as a tool to measure, predict and maximise the performance of teams. 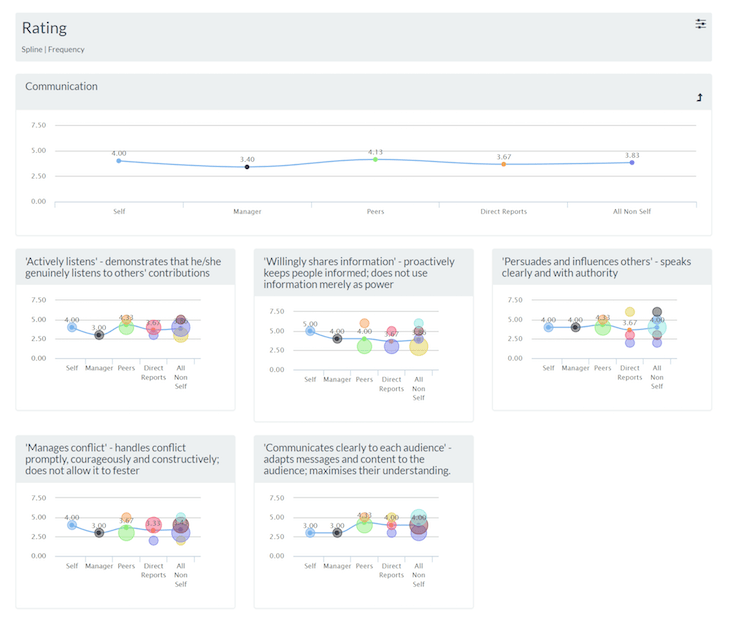 Complete with all the necessary prompts, reports and tools, Pilat Multi-Rater is distinct in its ability to assess skill sets within teams. It gives you the clarity you need to match employees to the relevant teams to boost performance, identifying skills gaps to be improved upon, or gaps in perception leading to clearer pathways for personal development goals. The software and reports can be branded to your company’s look and feel, and can also be translated into many languages. 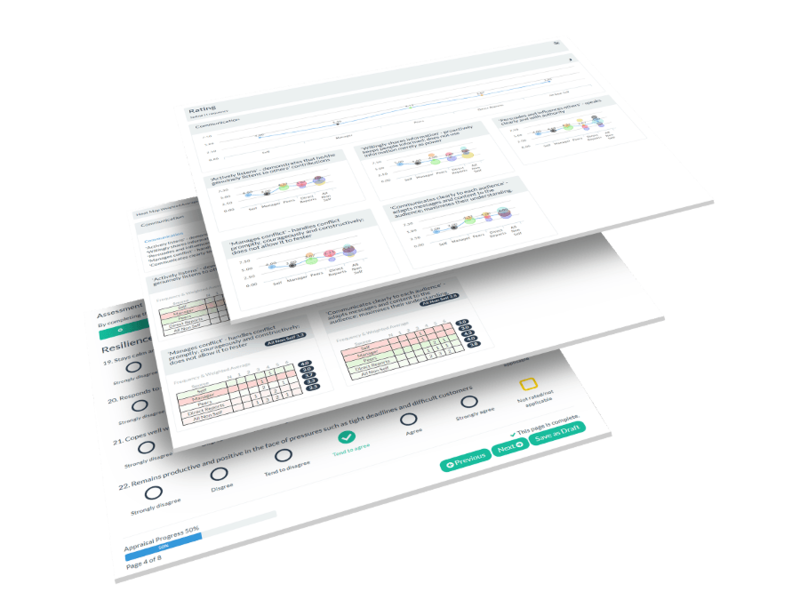 Users report that Pilat’s 360 Multi-Rater leads to visible improvements and increased management/employee/team satisfaction and transparency. Pilat’s partners can assist you with the design of the questionnaire, analysis of the reports and post-analysis coaching should you need it. Organisations use 360 degree feedback for both development, and increasingly, for performance evaluation. Feedback can come from co-workers, peers, reporting team or the manager and tends to be a more informal process concentrating on skills and contributions that an employee makes. This can be done at all levels from shop floor workers to the senior management team. 360 is a fully managed service that combines experienced and skilled Managed Service Team, web-based 360 degree assessment and project management system, and powerful reporting capabilities. Users report that Pilat’s 360 Multi-Rater leads to visible improvements and increased management/ employee/team satisfaction and transparency.